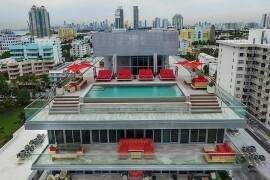 To say that Miami Beach is a place for glitz, glamor and all things affluent would be a great understatement. 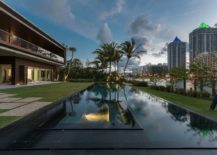 It is home for the rich and the famous and a party zone that is studded with the most luxurious homes and retreats that you will ever come across. 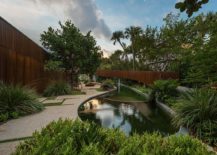 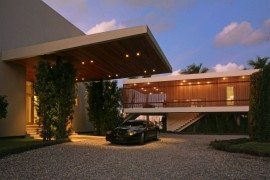 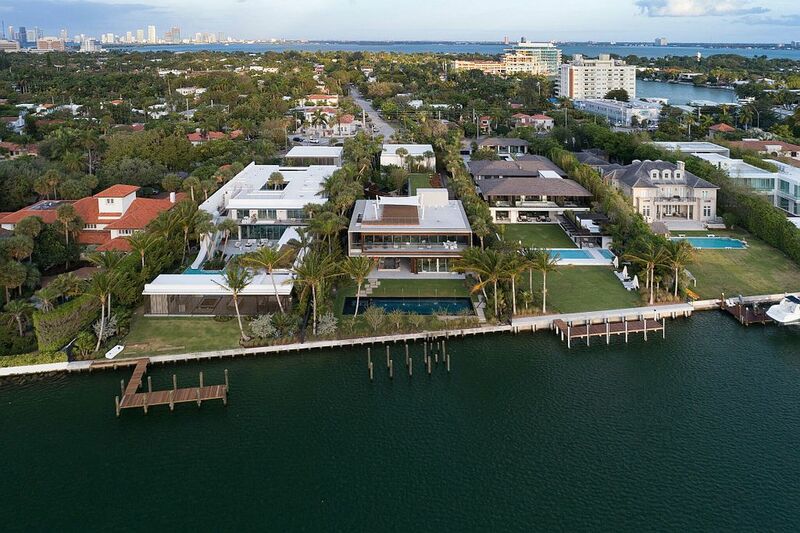 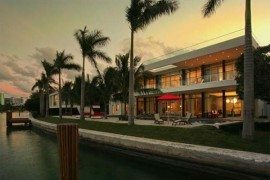 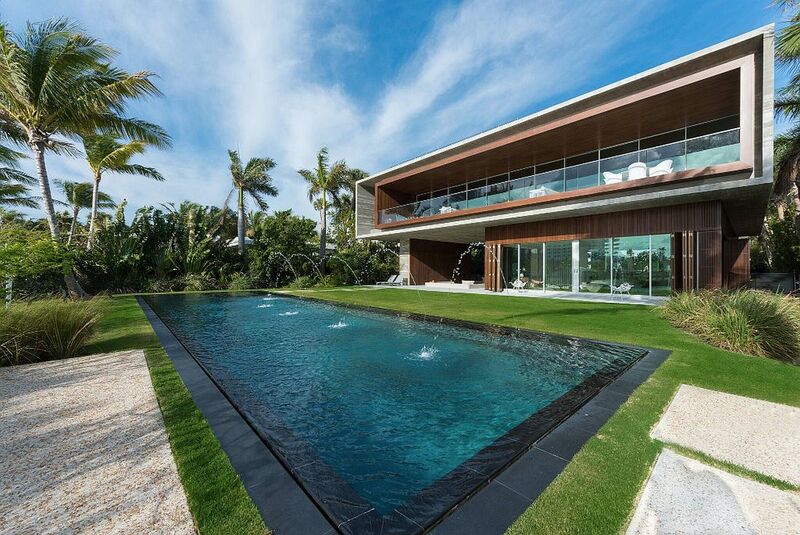 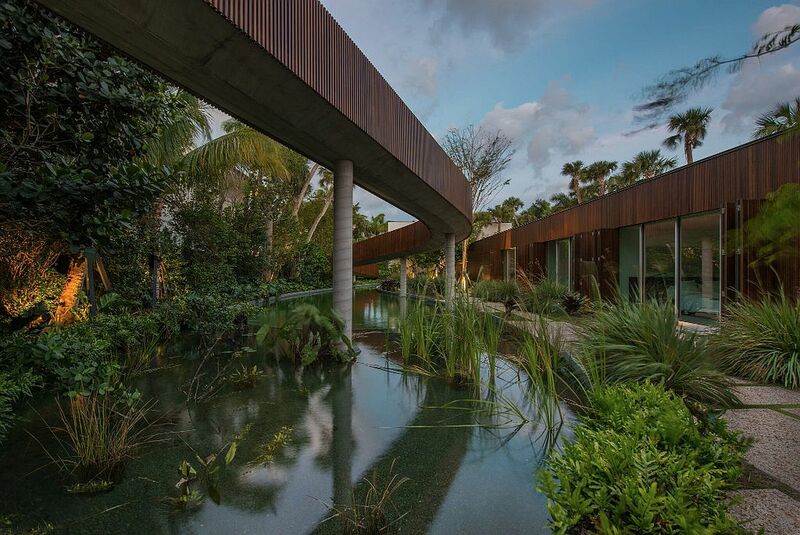 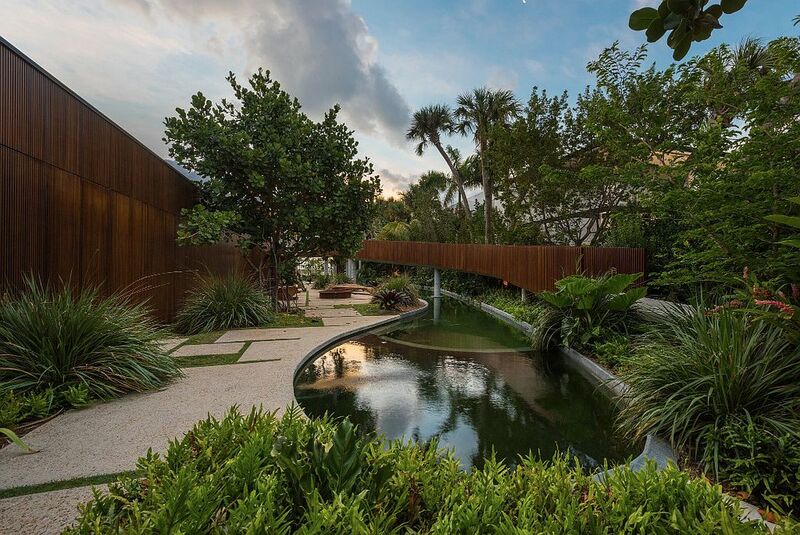 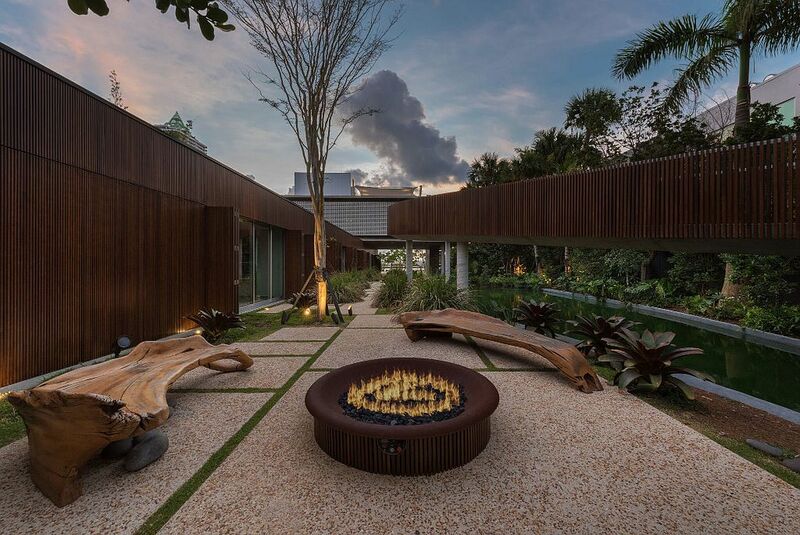 It is in this star-struck neighborhood that one finds this mesmerizing contemporary home designed by renowned architect Marcio Kogan and built by Brodson Construction. 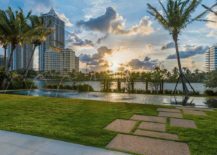 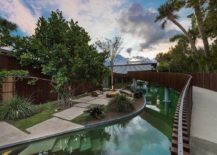 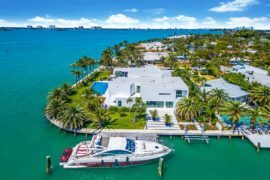 Set on a 1 acre lot, the 15,000 square foot house floors you with its expansive interiors and an even more outlandish landscape that is filled with a man-made lagoon, saltwater pool, beautiful walkways and plenty of natural greenery. 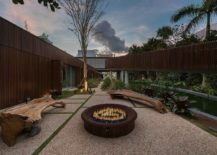 The Indian Creek House is all about draping yourself in complete opulence as the engrossing views, relaxing lifestyle and a second floor with open plan living area that becomes the heart of the house. 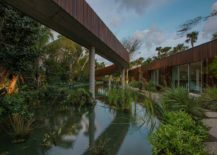 It is the ground floor that contains the main bedrooms which stretch into the beautifully curated gardens and walkways outside. 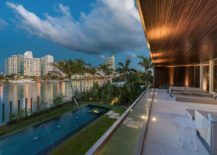 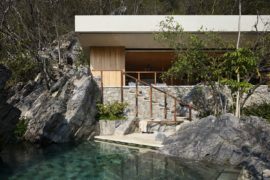 The natural pool and the massive man-made lagoon help cool the building further, cutting back on its energy needs, even while providing the perfect backdrop for evenings that range from the intimate and romantic to those with unending parties. 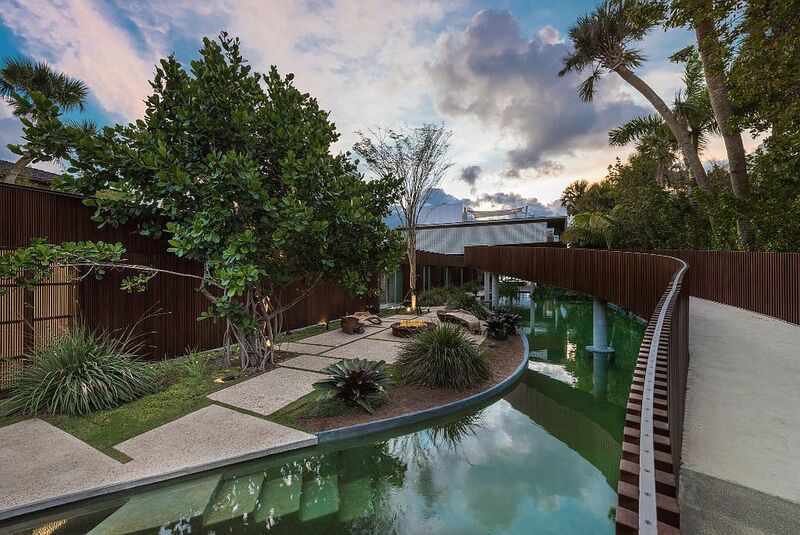 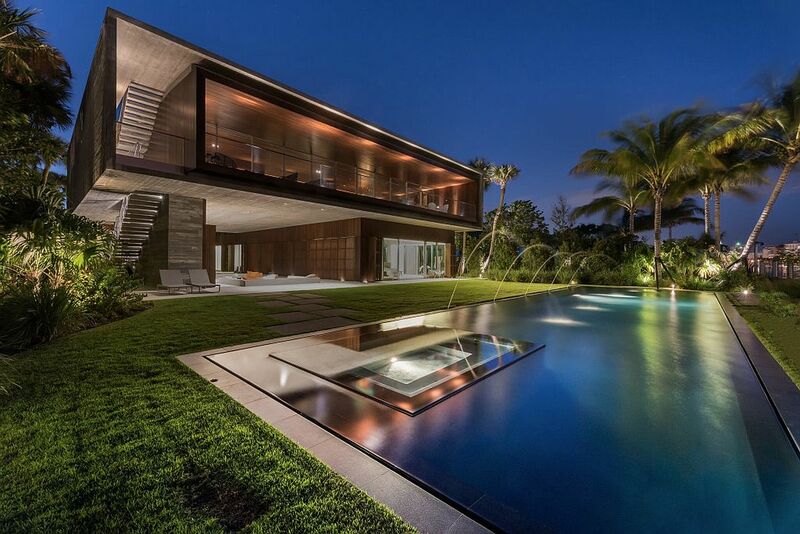 With 6 bedrooms, 7 full bathrooms and 2 half-bathrooms, 200 foot long curving bridge, exquisite lighting and even more fashionable décor, this unique Miami home is well worth the $29.7 million price tag it comes with. 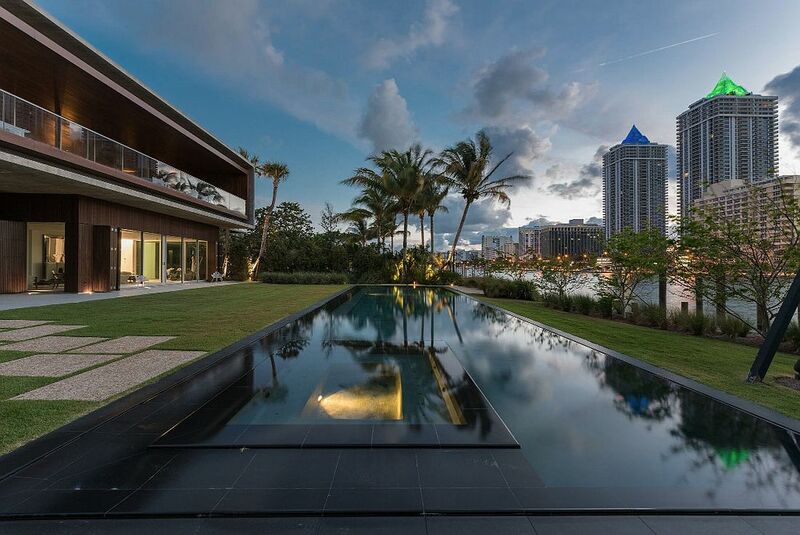 If you have the cash to splurge, then few homes in the neighborhood offer a more exuberant and extraordinary living environment! 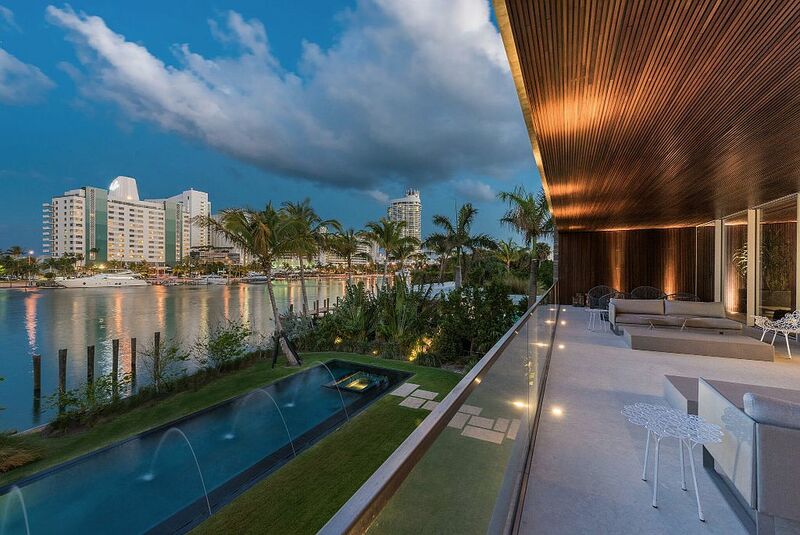 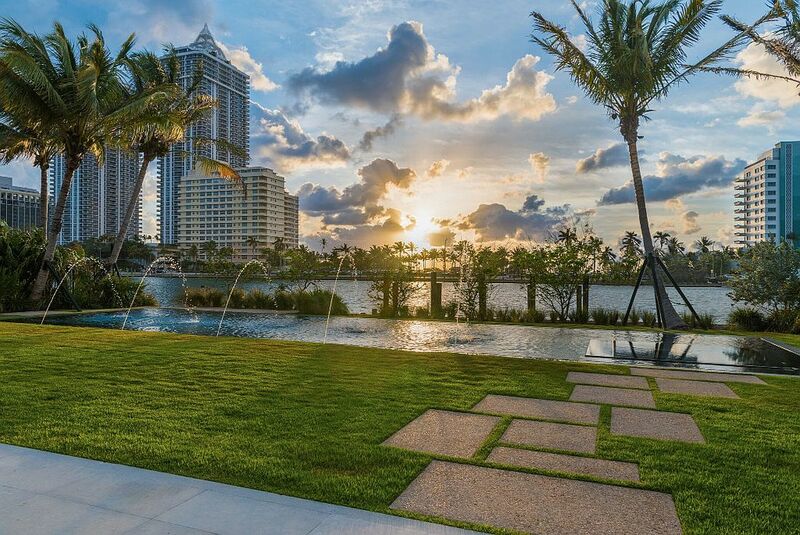 RELATED: Oceanside Opulence: Step into This Luxurious Two-Story Penthouse in Miami!